CPI Beverly Microwave Division offers a complete suite of TWT based transmitters for high power electromagnetic vulnerability (EMV) testing. This transmitter can operate a variety of TWT types. 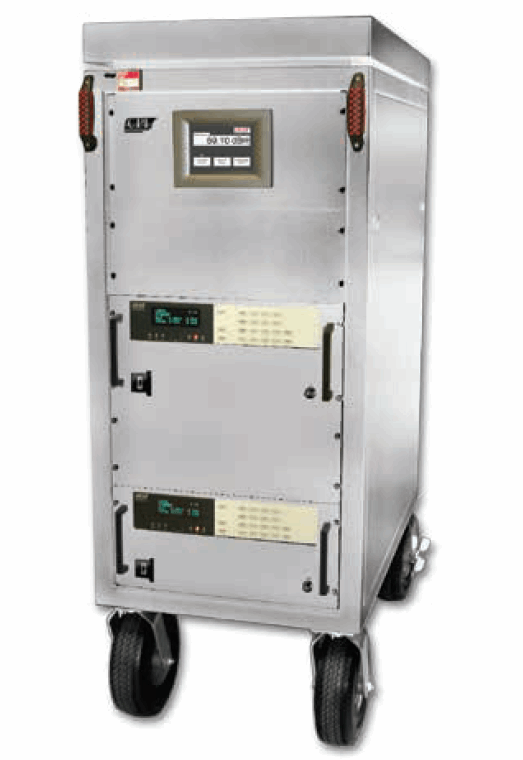 Features include a peak power up to 8.0 kW, operating frequencies from the L-band to Ku-band, and touch screen computer control with Ethernet remote control over power and frequency. Download the brochure for more information.